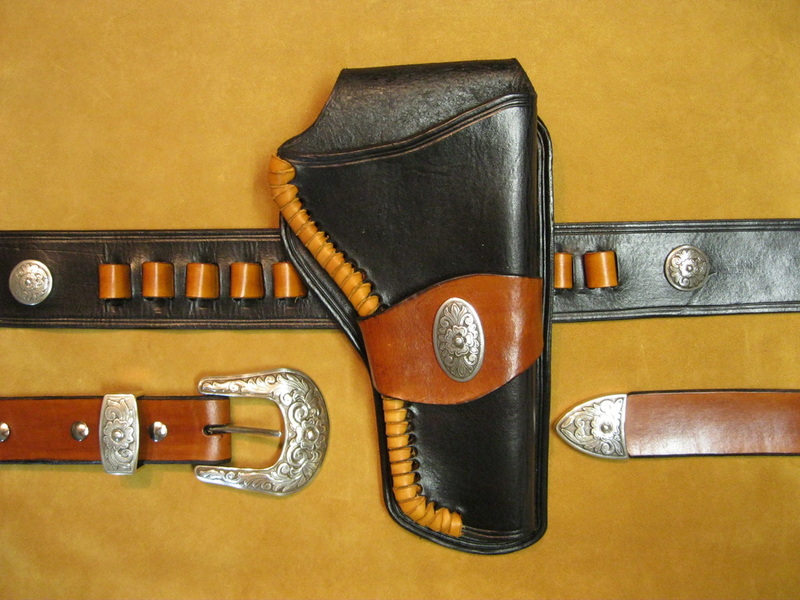 The Mexican Loop holster is fashioned with an open-faced loop that the pistol belt slides through. This set does not have the ends attached thereby allowing a wider range of sizes to be accommodated. The holster in the far left picture would actually be placed to the right of the ammo strip. Once the order is placed, the ends were attached accordingly. This set does not have the ends attached thereby allowing a wider range of sizes to be accommodated. 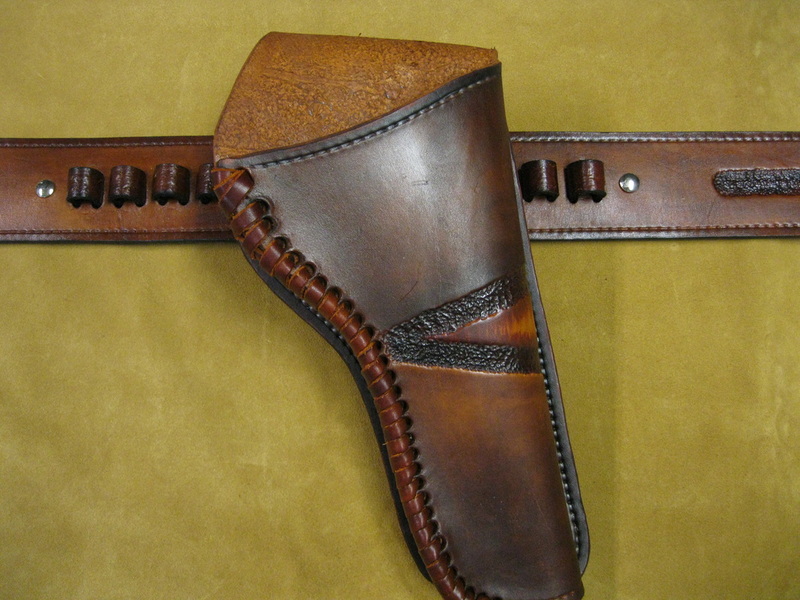 The holster in the far right picture would actually be placed to the right of the ammo strip. Once an order is placed, the ends will be attached accordingly.